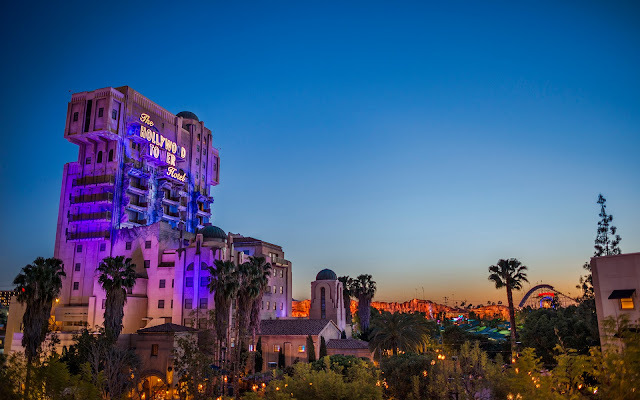 Today's a #ThrowbackThursday, as we look at what the Guardians of the Galaxy attraction used to be: the Twilight Zone Tower of Terror. By day, this is was a monumental but relatively welcoming looking Spanish style skyscraper. But by night, it became a sinister tower and effective oversized gravestone to the doomed Hollywood souls who stepped into an elevator one night and into a nightmare. Gateway to another dimension, perhaps? Well, too bad we'll never know now.